Zen Mobile launched its M16 dual-SIM handset. Varieties are increasing which are making choices easier. Dual-SIM sets are flourishing in the market within the budget for the ones who are in favor of such mobiles. It is yet another new launch of a dual-SIM mobile after Samsung launched Guru E2152 earlier this month. The Nokia C-100, C-200 and Wynncom Y-23were also launched at the same time. 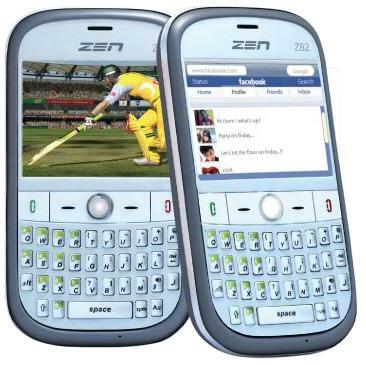 The new Zen mobile M16 dual SIM phone (GSM+GSM) has loads of features to attract it consumers. Dual SIM facility supports two GSM SIM card together. M16 has a 2-inch QVGA screen display with a camera of 1.3 MP. It can play MP4 video and supports wireless FM radio. The other special feature which it has is, of a good multimedia support. Zen mobile has the provision of expanded memory card slot of 4 GB and 1200mAh battery provides good back up of the phone. The phone is capable of tracking up to 20 incoming calls, 20 outgoing calls and 20 missed calls. Zen Mobile is user friendly with more features like that of Bluetooth options and a phonebook which has storage capacity of 500 contacts and a call register which can track up to 60 numbers. The handset provides with excellent voice clarity and a good sound quality for MP 3 and MP 4 formats. Zen mobile comes within a budget of Rs.2, 499 which is a better option than Samsung E2152 which is above Rs. 3000. The company has already launched three other handsets under its M series namely M20, M25 and M40.